I unfortunatly bought a CoraLlife lighting system for my 40 gallon...I should have saved a bit more for something better....anyhow lesson learned...so it has one Actinic bulb and one daytime light. There are 2 switches and only one plug (I didnt notice this until I got home or I wouldnt have bought it) and I want to be able to put in on a timer where the blue light comes on first and then a couple of hours later the daytime lights....is this possible? Can I somehow re-wire it? Keep in mind here that I am not that handy so if its complicated and expensive just let me know. If your not handy with electronics... your best bet would be to add a couple LEDS to your setup. They really show off your coral colors at night. Is the re-wiring really difficult...could you explain a little to what I would have to do to see if I can handle it or not? 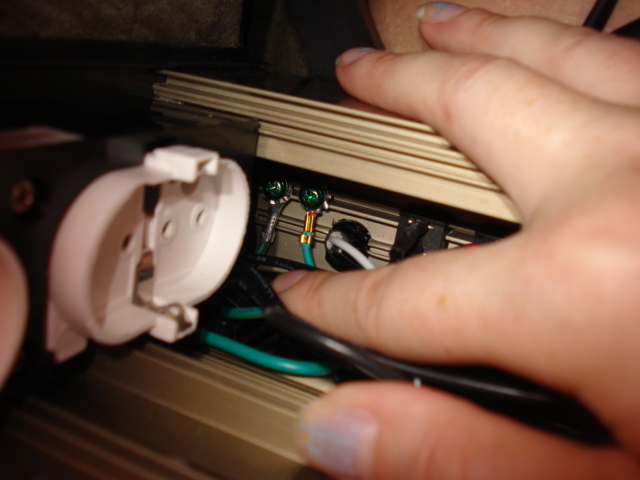 Also, it's hard to explain because you have wires going into ballasts that are sometimes different colors. You'd really have to examine what you see to understand how to re-wire it. Can you explain the exact fixture you have and for what size of tank? I find that really dumb that they would have 1 cord with 2 switches. can you take it back? Coralife makes some very nice lights for mid range applications and you might want to look at returning it for a better model. Is it T5 or CF? or a mh t5/cf combo? I took it apart and took some pictures. It looks like the outlet cord is attached to 3 cords...black green and white. The green one is attached to some screw on the back wall which you can see in the first picture. The second picture shows the white cord on the left (sticking up with the tube thing) and the black cord on the right. Im not sure if anyone can help me now that I have taken pictures but I thought I would try. hmmm.. well.. for us to see what needs to be done we'd need a pic of it all gutted so we can trace the wires from where they come from and where they are going. 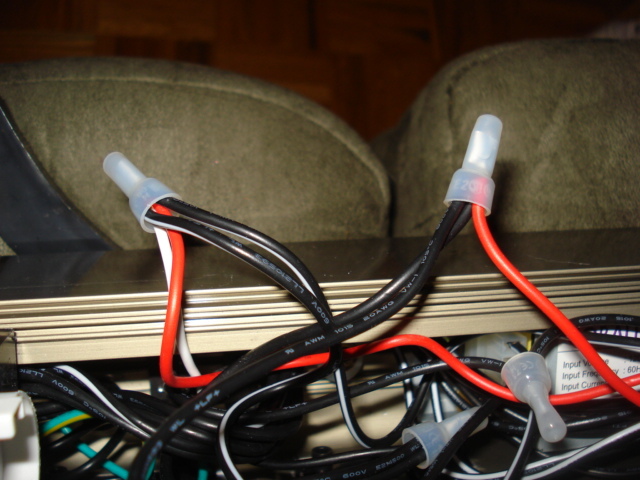 now I imagine that your ballast outputs are probebly black as well or could have a color too. but not enough for me anyways to go with. you could try to bring it to a salty sundays at Ottawa Inverts.